Now that the holidays are over and dispensed with, and the TV has stopped bombarding us with adverts featuring snow and jangly music, it’s time to look forward. 2014 was an odd year for games, what with Gamergate and snowball fights to the death in Grand Theft Auto V and all. But it’s time to leave all of that behind. Today, we’re starting a series of quick guides to some of the biggest and best upcoming games this year. This is probably a controversial choice to be starting with, on many radars but unlikely to be at the top of players’ lists. 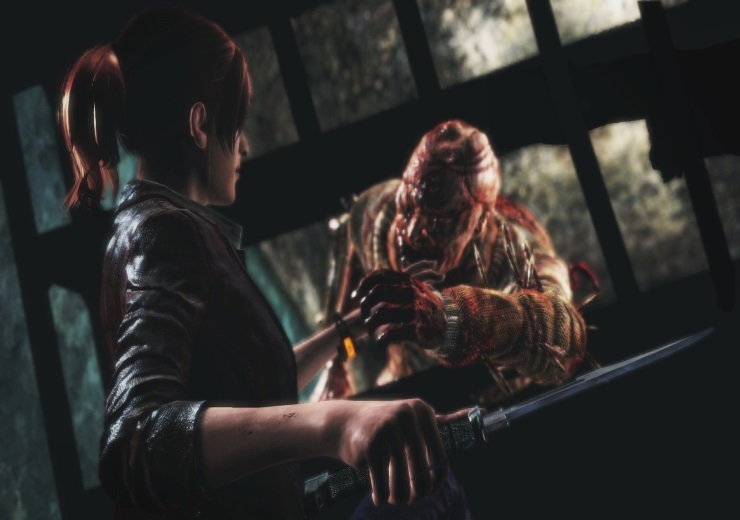 Neverthless, buckle up for Resident Evil Revelations 2. When the original hit the 3DS three years ago, I was sceptical. All of the hypetastic was pointing to a true return to the series’ roots; to the balls-out survival horror which fans feared was long gone. Since Resident Evil 4, as we know, things had taken a gung-ho, Arnold Schwarzenegger movie turn. Games 5 and 6 elevated this yet further, and are closer to TPS than anything. This isn’t to say that they did nothing right. Much as I, and many others, love the earlier Evils, the mechanics do feel a little archaic. I have to admit that I much prefer the over-the-shoulder control scheme and dynamic camera. Just not at the expense of the exploration, the atmosphere and the puzzling that gave the series its name. Revelations, I was delighted to find, managed to blend the old and the new successfully. It didn’t please everybody, as nothing does, but was well-recieved and in my book the most Resident Evil Resident Evil we’ve seen for some time. On a handheld, to boot. For the sequel, we’re expanding on the same formula. Another duo of series stalwarts are returning; Claire Redfield and ginger bearded hero Barry Burton in this case. Interestingly, Claire’s partner is Barry’s daughter, Moira Burton, making her franchise debut. The two have been kidnapped, and awake in a mysterious and distinctly creepy facility. You know how this all works. The partner-zapping mechanic so prominent in Resident Evil Zero makes its return here. 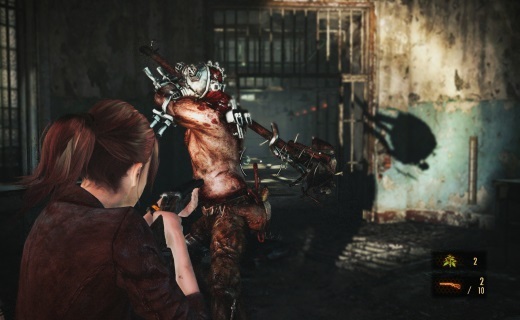 It’s essential to Revelations 2‘s puzzles, as each member can perform actions the other cannot. Moira, for instance, is unarmed, instead wielding a torch with which she can uncover hidden objects and the like. As well as, y’know, lighting the surroundings. That’s a given. With all new totally-not-zombies enemies, brilliant throwbacks to the past and that spangly new control system, this is a real one to watch this year. It’s being released in episodes, which some may find obnoxious, but at least it’s a convenient and cheap way to try out this new brand of Evil. The first installment hits next month, and it’s highly recommended to anyone familiar with the games.